I love the information and ingenuity of this gal. Not only does she share some huckleberry preserving methods, she talks about two huckleberry rakes she made. 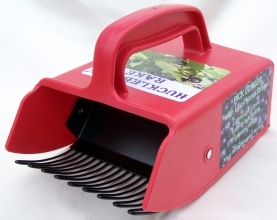 Huckleberry Rakes can also be found on our Tastes of Idaho site where we still have a few “Child’s” Huckleberry Rakes as well as the standard Huckleberry Rake (pictured above) available! Despite warnings and articles on the web and in print, some folks STILL don’t understand how to pick huckleberries. Aug. 17, 2012 8:44 a.m. I pulled into Dairy Queen on Appleway in Coeur d’Alene recently with a buddy for something cool … and instead ended up hot under the collar. There in the parking lot was a North Idaho pick-up truck, the bed piled with huckleberry bushes that had been sheared off in the forests for their prized fruit. The culprits and a car-load or two of friends were “picking” berries in the DQ parking lot, then taking them inside for an illegal huckleberry parfait. For me to host a wild huckleberry blog is rather interesting. I have never really been a big huckleberry fan!! No really ….. Being raised in California and living in Wisconsin while I was raising my family, I never heard nor tasted a huckleberry. Berries in my life consisted of raspberries, strawberries, elderberries, blackberries and blackcaps. We raised berries in our backyard when I was a kid, but most of the berries grew wild in Wisconsin. A fun field trip for my kids was walking in the woods and picking wild berries! It wasn’t until the 1990’s, after I had moved to Idaho, that my new husband, Malcolm (nearly a native to Idaho), introduced me to huckleberries. We took a trip with our two 12-year-old daughters to Elk River, Idaho where huckleberries are a main food staple! He intended on introducing me ‘properly’ to huckleberries through the famous (or at least famous in our part of the world) Elk River Lodge that served the best huckleberry pie and huckleberry ice cream in the county! Well, the pie, in my opinion, was pretty good. They served it a bit warm and the berries were just the right sweetness. But I didn’t really care for the huckleberries ice cream — I would have preferred vanilla instead. Too much huckleberries for me! Even though I did like the huckleberry pie (and still do!) , he had not convinced me that huckleberries were the “purple gold” I had been led to believe. 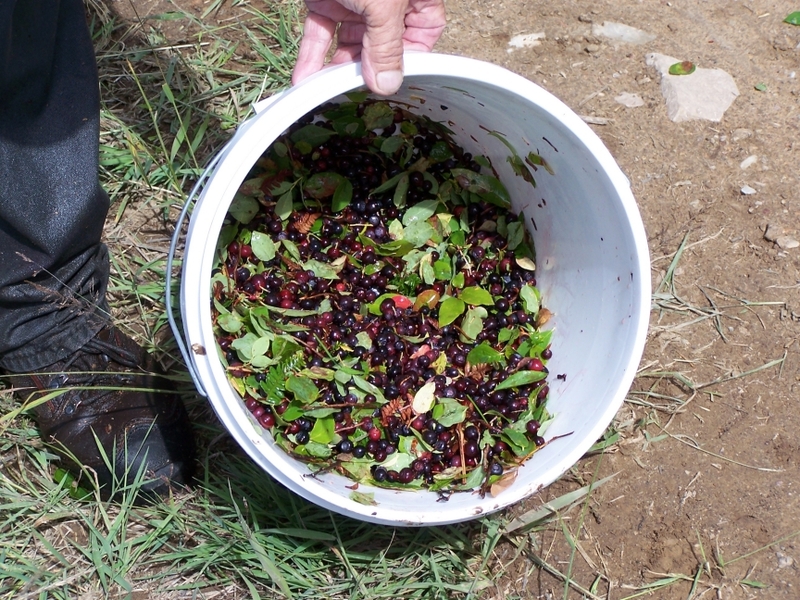 Next, I will share my first huckleberry picking trip . . . . where things got worse before they got better!! 101 mySQL queries in 0.193 seconds.